Turkish President Recep Tayyip Erdoğan and Azerbaijani President İlham Aliyev inaugurated the Trans Anatolian Natural Gas Pipeline (TANAP) project on June 12 in central Turkey. 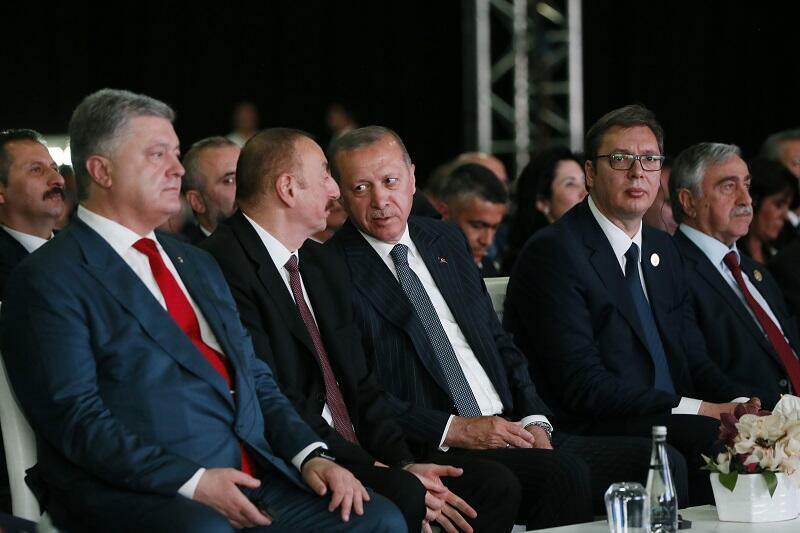 Serbian President Aleksandar Vucic, Ukrainian President Petro Poroshenko, and Turkish Cypriot President Mustafa Akıncı attended the ceremony to open the project, which will play a key role in maintaining the energy security of Europe. The opening ceremony also hosted state heads, ministers, executives of energy companies and senior bureaucrats from shareholder countries. “This project is a product of a close friendship between Turkey and Azerbaijan. Transit countries have also played a key role. With this project, gas from Azerbaijan will be carried to Europe for the first time,” said Erdoğan, adding that close cooperation between Turkey, Azerbaijan and Georgia have brought the Baku-Tbilisi-Ceyhan Oil Pipeline in the past. TANAP is not only important for maintaining energy security, but also for improving welfare in the countries it the pipeline runs through, Erdoğan said. He added that the project would make a great contribution to peace and stability in the region, thanking to the United States and the European Union for their support to the project.